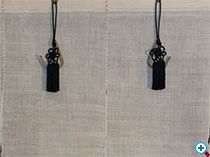 Another type of divider is a multi-panel cloth curtain called a noren. 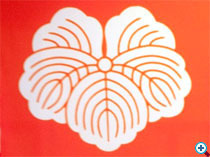 In Japan shop owners often hang a noren outside with signage printed on the fabric in order to advertise their business. Inside the home a long noren acts as a soft barrier between rooms. 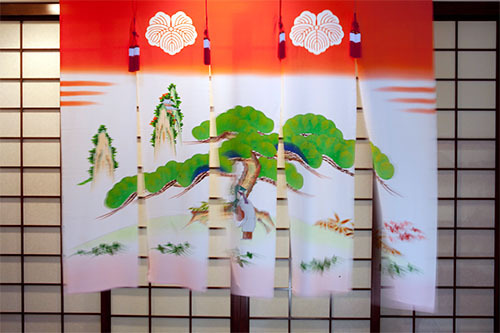 It is often decorative, made of cotton, linen, or silk fabric, and hung on a bamboo pole. 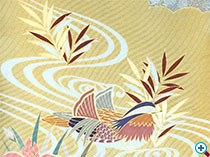 This is an example of a vintage bridal noren, handpainted on silk with decorative tassels. Sometime we acquire unfinished new kimonos from Japan and find that the pattern is too large for pillows. 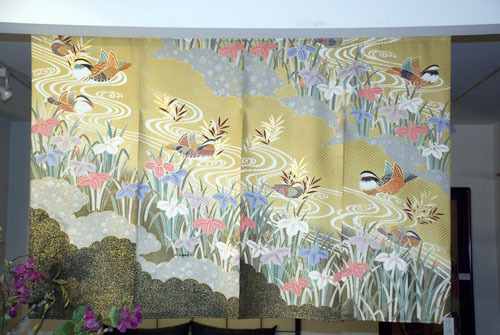 In this case we made 2 beautiful norens.The one pictured here was made from the sleeves of the kimono. 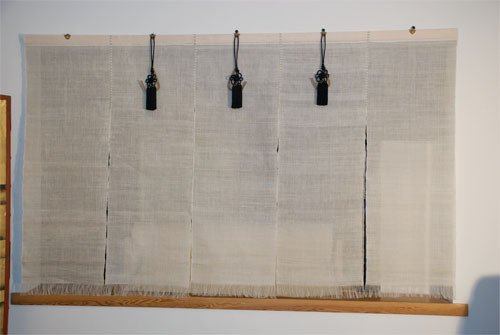 Japanese linen is wonderful to work with and makes a simple, slightly see-through noren. It has a stiff feel to it which makes fringing possible at the bottom of each panel.